Bitcoin, Ethereum, Litecoin, Bitcoin cash, Ripple, Dash, Monero, Ethereum classic, EOS, and Zcash are to be accepted at new Touch B kiosks, pioneered by Bithumb. This South Korean crypto exchange is in it for the long haul, expanding its business model and allying with regulators and big banks. 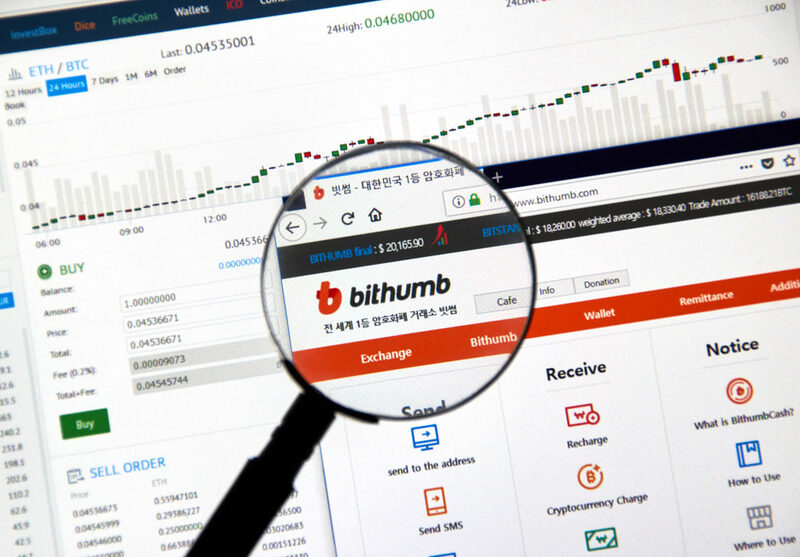 Bithumb has made a number of moves to indicate that it is serious about staying in business. In addition to being the first crypto exchange in South Korea to get on board with new regulations, Bithumb is rolling out a new business venture involving self-service cryptocurrency kiosks where users will be able to make purchases using a wide range of cryptocurrencies. The use of self-service kiosks is prevalent in South Korea, and the market is driven by businesses looking to lower costs and increase revenues, as well as customers looking to skip the line at popular restaurants and retailers. Bithumb’s new offering to the kiosk space will be called “Touch B” and is the latest initiative of the crypto exchange to add stable revenue to their bottom line. They have paired up with three major kiosk manufacturers to ensure a smooth rollout of the product, enlisting the help of Tros Systems, I’m U, and Unos Pay. Nothing has yet been released about the software component of the kiosks, but Touch B plans to offer its services at an undercut to the competition. They say that fees will be a full 10% lower than the next lowest offering. They hope that offering more reasonable costs in this market will allow smaller and mid-sized businesses to take advantage of the technology. The strategy is aggressive, and as long as Touch B can deliver the goods, it should pay out. As would be expected, the Touch B kiosks will allow users to pay with cryptocurrency. They currently state that they support some dozen coins, including Bitcoin, Ethereum, Litecoin, Ripple, and Monero, among others. In addition to the new kiosk plan, Bithumb also has announced plans for the new Bithumb Cache. This will be a kiosk-based service that allows customers to log in and convert their cryptocurrency balances to other currencies on the fly. In January of this year, Bithumb, in conjunction with WeMakePrice, helped shopping malls successfully implement the needed infrastructure and provisions for accepting crypto payments for goods. Bithumb also worked with Good Choice, a travel website, to enable the site to accept bitcoin and others upon web checkout. Clearly, Bithumb is here to stay and is focussed on growth and expansion. Toward this end, in order to ensure their place in the new regulatory platform and growing market, Bithumb has partnered with Shinhan Bank and Nonghyup. Further falling in line with regulators, the exchange is requiring that users register and trade under their real names, with verifiable proof of identity.